Australia’s former ambassador to Israel has warned his old department that it risks irrelevance unless it overhauls its digital diplomacy and reporting. 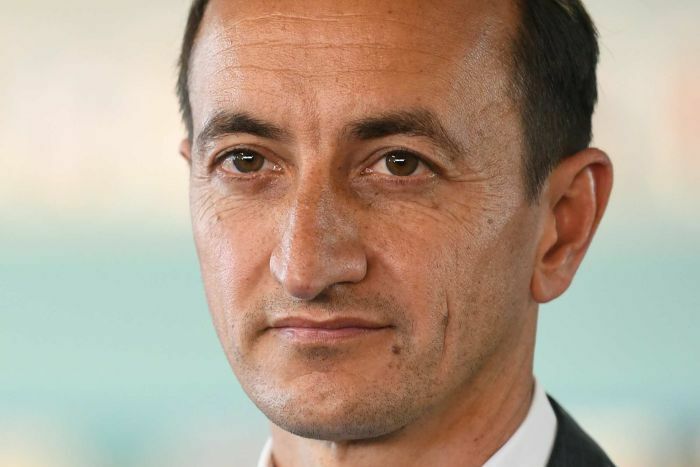 Dave Sharma — who is now the Liberal candidate for the Sydney seat of Wentworth — says the Department of Foreign Affairs and Trade (DFAT) has been treating online diplomacy as an “optional add-on” rather than a core channel of influence. The department has ramped up its online presence in recent years and now runs 249 active social media accounts on such platforms as Facebook and Twitter. But in a paper for the Australian Strategic Policy Institute, Mr Sharma suggests much of the material DFAT posts is formulaic and anaemic. “This is where DFAT is struggling,” he writes. “It has gone digital, but it isn’t yet doing digital diplomacy. The paper says DFAT could use social media to shape public opinion as well as “rebut falsehoods, contest narratives, correct mistakes”. UK High Commissioner @VickiTreadell brings a wealth of regional experience to the role and enthusiasm for strengthening cooperation in the Indo-Pacific. Instead most Australian ambassadors and embassies simply post pre-approved or canned material about meetings or “soft” public diplomacy activities. 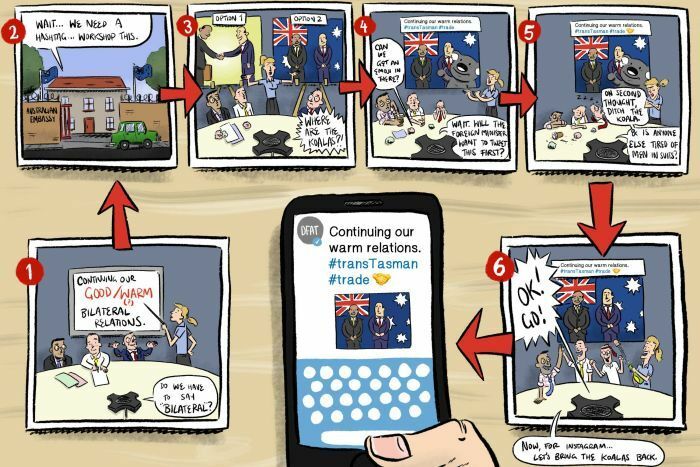 The former ambassador says much of DFAT’s material is “stiff and aloof” and the department typically ignores social media users who try to engage with it online. He also argues the department withdraws into its shell and stays silent online whenever a contentious diplomatic issue flares up. “Too often when a story of controversy is raging all around them, DFAT’s digital channels bury their heads in the sand (and) go radio-silent,” the report says. And he contrasts Australia to Israel, the United Kingdom and Russia, which actively use social media to shape public opinion at home and overseas. Russian diplomats in the UK used outlets such as Twitter to spread disinformation and muddy the waters after two agents poisoned former Russian spy Sergei Skripal in Salisbury. Israeli diplomats have also taken to social media to mock Iranian leaders who continue to call for the destruction of their country. Australian bottled wine exports to Japan were worth $37.2 million in 2018, an increase of 8% compared to 2017. Mr Sharma argues DFAT’s risk-averse culture makes it difficult for Australian diplomats to engage freely online. And he warns in the paper that the department’s influence in Canberra is waning because it largely communicates via electronic “cables” that are too hard for other agencies to access. “The cable system has remained frozen in time … for the demands of the modern ship of state, it’s too slow, too cumbersome, and too difficult to access,” the report says. The paper also recommends DFAT to develop sophisticated data analytics teams to help it shape digital diplomacy campaigns, as well as appointing ambassadors to develop deeper links with tech giants in both the US and China. Mr Sharma had a reputation as a maverick in DFAT. He has advocated for Australia to move its embassy to West Jerusalem and recognise the city as Israel’s capital as part of a two-state solution. Last year Prime Minister Scott Morrison declared he would consider moving Australian embassy, saying he found Mr Sharma’s arguments “persuasive”. The announcement infuriated several Islamic countries, while Indonesia placed a free-trade agreement with Australia on ice. Eventually Mr Morrison announced Australia would recognise West Jerusalem as Israel’s capital but would not move its embassy until the city’s status was finalised under a peace settlement.